Deepdale is a modern shopping park to the north of Preston city centre. It is a large park with a good range of stores and places to eat and drink. A new extension opened at the beginning of 2015. The area, formerly occupied by a Booker warehouse, is now home to stores such as Sofology, Wren Kitchens, Harveys, and Oak Furniture Land. Currys PC World – Electricals, TVs, appliances, PCs, laptops, mobile phones etc. 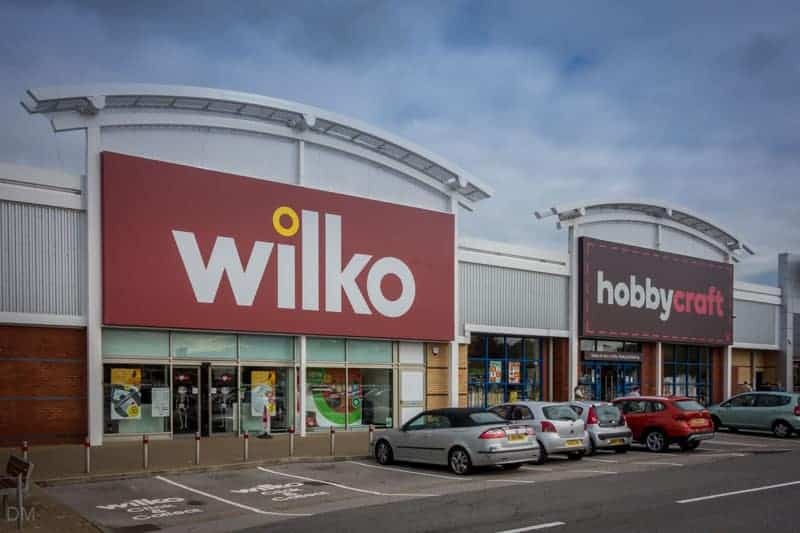 Hobbycraft – Arts and crafts supplies. Mamas & Papas – Children’s clothing, pushchairs, car seats, toys, high chairs, feeding products, gifts etc. Oak Furniture Land – Quality wooden furniture. Salon Services – Hair and beauty products. Toolstation – Trade tools, electricals, lighting, plumbing, screws and fittings, workwear etc. Ultimate Outdoors – Outdoor clothing and footwear, tents, camping equipment, skiwear etc. WHSmith – Books, newspapers, magazines, stationery etc. Wren Kitchens – Fitted kitchens. 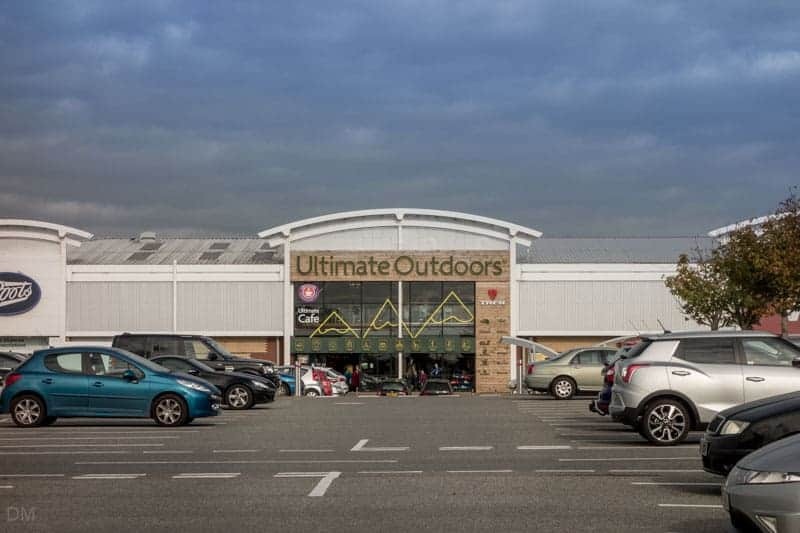 In July 2014 Ultimate Outdoors opened their first UK store here. Owned by JD Sports, the two-floor store sells outdoor clothing, equipment and footwear, camping gear, bikes, and more. It is situated in the unit previously occupied by the Borders bookshop. Deepdale is situated on Blackpool Road, near Preston North End FC’s Deepdale stadium. The postcode for shopping park is PR1 6QY. Morrisons and Currys PC World are located to the east of the main shopping area. 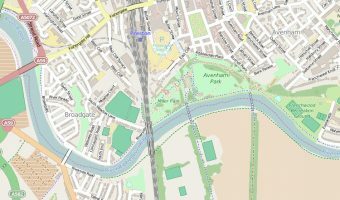 Use the postcode PR2 6BX to find these businesses using a satellite navigation system. Deepdale boasts a large car park with spaces for over 1,000 vehicles. Parking is free for customers. Opening hours vary by store but all are open seven days a week. Hours are generally 9 am to 8 pm Monday to Friday, 9 am to 6 pm on Saturday, and 11 am to 5 pm on Sunday. Check with individual store websites before travelling. The park has previously been known as Deepdale Retail Park and Deepdale Shopping Park. Map showing location of Deepdale. Salon Services now open at Deepdale. ALWAYS LOVED GOING TO DEEPDALE 30 MINS DRIVE AS NOT LOCAL. WE HAD THE VAN AND PARKING SPACES ARE TIGHT WE PARKED OVER THE WHITE LINE . FREE PARKING HAHA !! !SLAPPED WITH £100 FINE. I COULD ACCEPT IF WE PARKED IN THE DISABLED PARKING OR DOUBLE YELLOWS OR IN UNSAFE PLACE. NO OVER THE WHITE LINE IN A BIG VAN. NO MORE CUSTOM FOR YOU DISGUSTING TINY LITTLE SIGNS RE THIS. SO CUSTOMERS BEWARE!!!!!!!!!!! I think that Deepdale Retail Park is amazing. 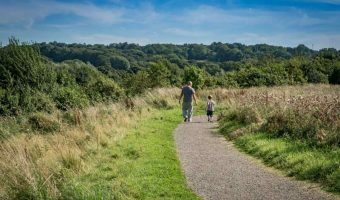 The parking isn’t that good but it is amicable and well worth visiting, but try to avoid going at 1pm-3pm as it gets very busy round these times especially at weekends. If you get the chance go! The parking is a health and safety hazard. During the Christmas period we were hit with a 60 pound parking fine (along with about 10 other disgruntled drivers). No yellow lines present and no visible parking signs. The attitude of the security staff is appalling. Instead of firing out parking fines, when the car park is full they should not let any other shoppers in until a space becomes available as many other retail centres do in the city centre to avoid chaos. We will not be shopping there again. I love going to Deepdale shopping at any time of year except December. !Last year it took over two hours to get out of the car park and the year before someone hit my car whilst it was parked and drove off. Hence this year I am shopping on line and will leave Deepdale car park for others to experience! I go to Deepdale all the time. When we go we never have trouble parking, no matter what time or day. We are able to find a car parking spot straight away. Another exit would improve the flow of traffic in and out, but other than that it’s a great place. The shops are brilliant. They are big, so stock loads of different items which the smaller shops can’t. I think its improved even more now they’ve opened the new food places. It means you can go without having to spend loads of money buying something to eat from Marks and Spencer or Starbucks. There’s a good variety! I recommend it to anyone who has never been before! I live about 15 mins walk away and I think its amazing. M&S, Game, and Pizza Hut. All we need now is a Vue or Odeon and we’re sorted. Yes it’s great. However parking can be an issue. The worse thing is that there is only one way in and out. Create another entrance and problem solved. I’ve been up to Deepdale Retail Park and think it’s fab! I love Deepdale and went on a Saturday afternoon. The car park was really busy and finding an empty spot anywhere was a nightmare. I parked on a roadside where there was no yellow lines or any parking notices. Enjoyed an afternoon in Pizza Hut and shopping with my kids, returned to my car and found I had been issued a ticket for obstructing the road. Load of cobblers. So I took photos as evidence and filed my appeal and refused to pay the fine. Fat cat parking companies have to try and ruin your great days out. It’s a great place to shop, but the car park can be quite a problem. But I guess you just need to set off really early in the mornings or during the late afternoons. Though I love the place! Parking is very good if you go after work during the week. I always go then. They are open until about 8 or 9 pm. There is always loads of parking & it’s easy to get out. Weekend is the worst, especially if there is a football match on because the ground is just bit further down from Deepdale. I don’t see the problem. Deepdale Retail Park is a great place to go shopping and is safer for children than it is in town. I go all the time and have little trouble parking. It is worth visiting Deepdale – just to shop in Outfit….it is amazing! There are great shops at the Deepdale Centre but I agree with other people saying that the parking is not the best. However there are plenty of side roads near the centre that never have any cars on them, so why don’t people do what I do and park down there. I go there very often and I love the shops and food is awesome. Don’t go to the Deepdale Shopping Centre on a Sunday because that is when the parking is worse. I hope you all enjoy your time at the shopping centre. I can’t believe everyone is complaining and going on about parking. It’s a big retail park, a great retail park, a popular retail park and so naturally it gets busy and fills up. What do you expect? It’s a great place to shop and eat and you are daft if you choose to go on a Saturday. Having visited Deepdale Retail Park on Saturday, I will be very reluctant to go again! The shops are excellent but parking is an absolute nightmare! It took us the best part of an hour to park & 2 hours to get out of the actual car park. There needs to be some sort of traffic control systems or improved exits! I went to deepdale retail park today and I thoroughly enjoyed the place. They have plenty of places to eat and there are shops for all ages. The downside to it is the parking as it is always very busy there. Overall it is a great place to enjoy a day shopping! I think Deep Dale Retail Park is really good. There are a few shops that everyone likes and a few food restaurants that you can eat at. The only down side of the park is parking becasue it can get very busy but at least you don’t have to pay. Plus when football is on you will never get on or off there – definitely avoid at festive periods/ football times! Preston is a joke for parking where ever you go . Deepdale is always packed at xmas – queuing to get in – queuing to get out . And even if your not going therey ou have to queue to get past! And putting more food places on there has made it worse for queuing and parking. They need to make more exits off it because it is a joke. You end up weighing up which way is quicker because you have to give way to the right on roundabouts, there all as bad plus its next to a fire station. Who built this place? They do have a good variety of shops but none more exciting than town . Plus town has no queuing. I went on Tuesday with our baby daughter and couldn’t find any parent and child spaces. I only saw 4 and they were all used by people with no car seats. So either they had no children or were braking the law and not restraining them. The shops are great it is a shame we didn’t feel very safe with our baby due to long walks across the busy car park. If they had a path through the hedge between PC World/Currys and the actual retail park where Toys ‘R’ Us is then you could park on the PC World side and walk across. Much easier. The place is a joke. They offer rubbish parking and then ticket you for your troubles. Avoid!!!! Went on Sunday. Cars parked everywhere. I parked in a space and got a ticket because my wheels were slightly on the grass! I understand that parking can get busy but why are the management allowing a private ticketing company go round and profit from the situation. I spent a lot of money there on xmas presents and got a ticket as a thank you gift. I will never visit again. The tickets are not going to stop the congestion but will just allow fat cats to profit! Very angry. Do not let your children run off. Deepdale has the highest crime rate for the area and round the corner is a street which has had more knife and gun killings than the whole of the North West. Shoppers beware. I go to the retail park all the time. I feel I can let my child (12 year old girl) go off and wander on her own because it feels so safe. There is a small issue with parking which I hope can be resolved easily. The shops are fabulous and I really enjoy shopping there! I have worked at Deepdale and also shopped there many times. There are problems with the car park but the main thing is that there loads of spaces and it’s free to park. There’s a great range of shops from Argos, Clarks, Boots, Toys R Us and WH Smith. 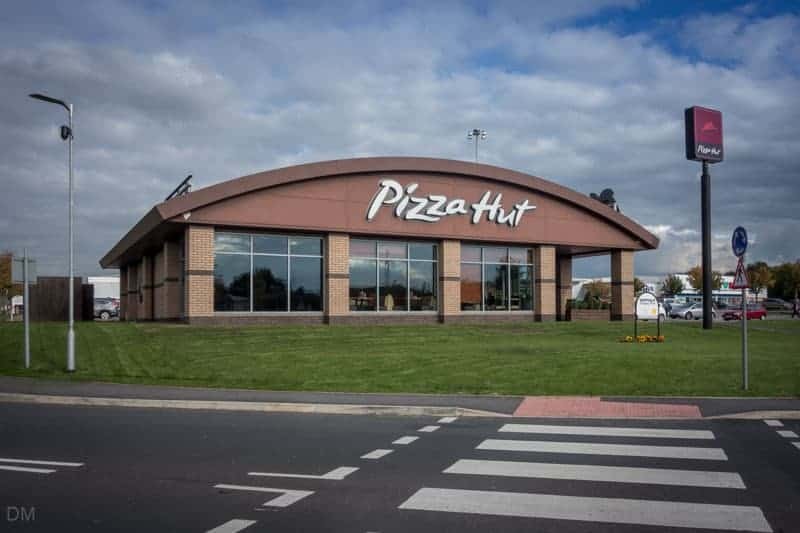 There’s a small roundabout inside the car park and it’s best to park here so that people have to give way to you from the right (ie enter from M&S side not Pizza Hut). But in busy times this doesn’t work as people won’t abide with the road and roundabout rules! The best time is first thing in the morning and it’s quiet in the evening too. Of course on Saturdays it’s going to be busy so avoid if possible. 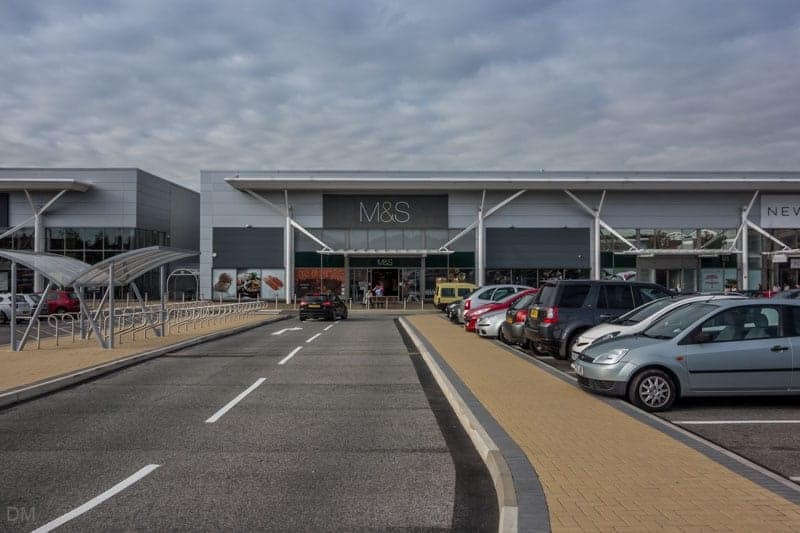 An excellent retail park but astounded by the one and hour half wait to get off the car park on Saturday 4 – 5.30. Not a experience to be repeated. Beware this could spoil your trip as it did ours and hundreds of others. The worst design of a car park ever. So sorry Deepdale we won’t be returning. 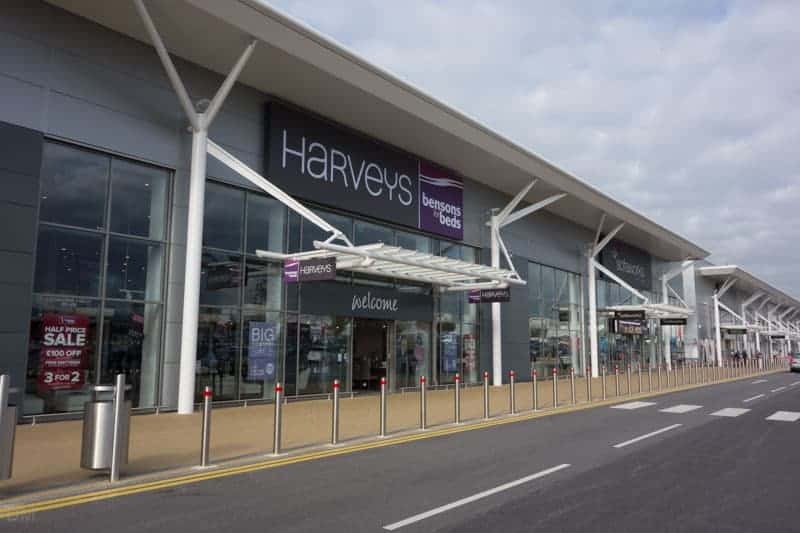 It is great for an alternative shopping area to town but now they’ve added new stores, they seem to have forgotten that this will attract more people and the parking and getting on and off the site are a nightmare – i will definitely not be going on a weekend daytime again. I agree there are problems with parking. We have been many times and not been able to park. I am disabled and have been many times and people without blue badges are parking in disabled bays. This needs stopping. I agree about the parking: the trick is to shop early in the morning, or later in the evening if you don’t want to get gridlocked on your way in or out. I think Deepdale’s a great little retail park & I’d be lost without Hobbycraft! I don’t see the problem! If you can’t be bothered to walk a little extra if you’re parked far away, you should do MORE exercise! I don’t understand where the problem is with parking. There are always spaces! People just say there’s a problem because they can’t always park right in front of the shops. Park a little further back and you can exercise while you do your shopping! Anyway, it’s not like you have to pay for the parking! Please sort out the car park, it’s a nightmare to get off and I won’t go if I can avoid it! 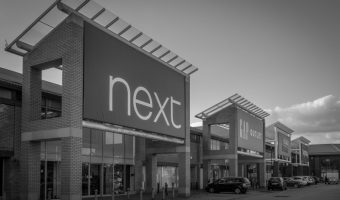 Apart from the weekend parking problem, the retail park is great and quite handy if you just want to have a couple of hours shopping. There are new shops being built where Birthdays was, as well as the food shops. I have parked at Currys/PC world on the odd occasion when parking is difficult, its only 2mins walk down the road. The retail park is great and I go quite often. It’s just a shame that Birthdays has shut down as that was easier than going into the city centre. There is a problem with parking, especially on weekends, but that is the fault of the designers. During the week I have found the parking to be fine. Good shops but the car park is a nightmare! Who designed 1 way in and 1 way out? For god’s sake make another exit at the opposite side or somewhere. It’s ridiculous. My boyfriend won’t even come with me any more! The only reason the parks gets like that is because of idiots both on and off the park that can’t drive properly! I work on the retail park and it’s unbelievable how many drivers are in their own little world and just pretend that you’re not there so that they don’t have to give way to you even when they should be doing! If everyone knew the highway code properly then there wouldn’t be an issue. Getting off this car park is a joke and for that reason I don’t shop there. Although the retail park has quite a few shops to choose from, the car park lets this place down. It is possibly the worst designed car park I have been on. My friend and I were stuck in grid lock for 3 1/2 hours. Not how I like to enjoy my afternoon off. I have been to Deepdale Retail Park many times and I have enjoyed shopping there. The shops are quite big but there are not that many of them. They are currently building some small food places like Greggs, Subway and a couple more. 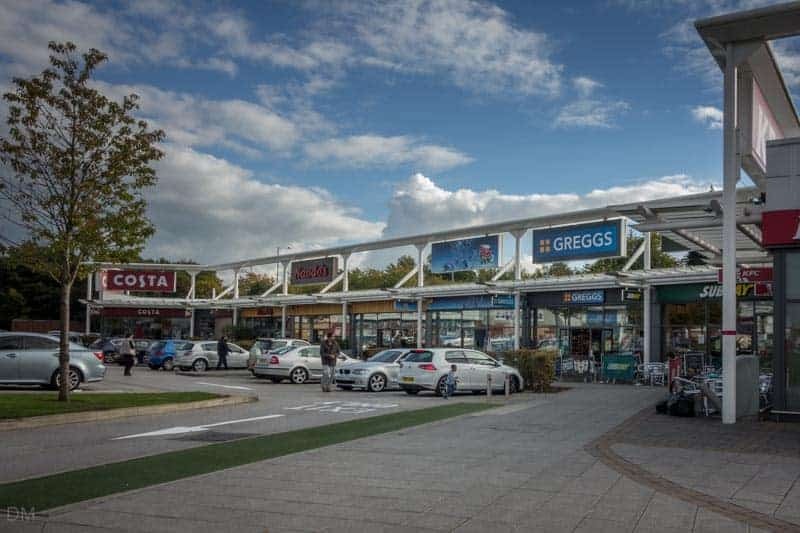 There is a reasonable amount of car parking spaces if you want to visit the Retail park and there are also some food restaurants including McDonalds and Pizza Hut. I hope you visit Deepdale Retail Park and I hope you enjoy shopping there!